Isn’t it funny how one single image can inspire you? Now sadly I don’t have the gorgeous pink, blue and black tiles this bathroom has. My bathroom is as boring and bland and white as can be. It’s probably the only room in my house that I actually don’t like, but I have managed to make it more “me” by adding artwork and pretty things. 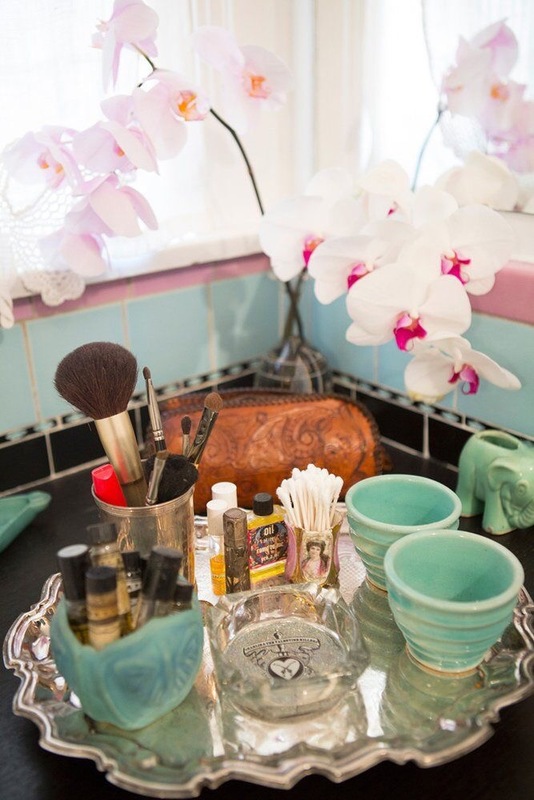 Anyway, I loved the silver tray and pretty bottles and pots in this picture and figured I could gather things from around my house to make a similar vignette in my own bathroom. 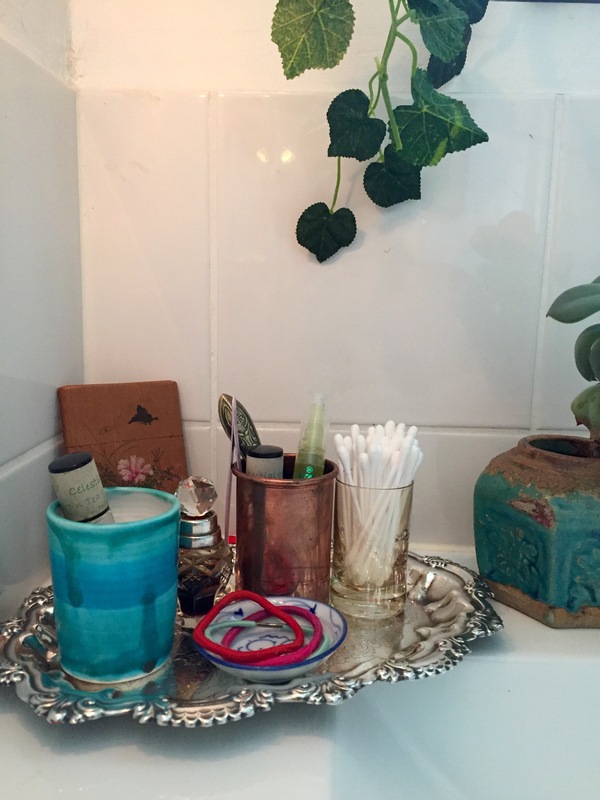 This entry was posted in Decorating, Home DIY and Decor and tagged bath, bathroom, bohemian, boho, decor, home, indoor, interiors, plants, silver, succulents, turquoise, vintage. Bookmark the permalink.